Hat Island is a census-designated place also known as Gedney Island in Possession Sound. Single-family homes for sale here offers buyers a range of styles and sizes, but almost always with waterfront property. One walk-on public ferry service is available for visitors to the island Thursday through Sunday from the city of Everett, but despite its close proximity there are no ferry services to or from Whidbey Island. The Hat Island Golf Club is a centrally located feature, with the Hat Island Marina to the northeast and White Bluff to the southwest. 3 Beds | 1.75 Baths | 2300 sq. Ft. Private Island 30 minutes from Everett. 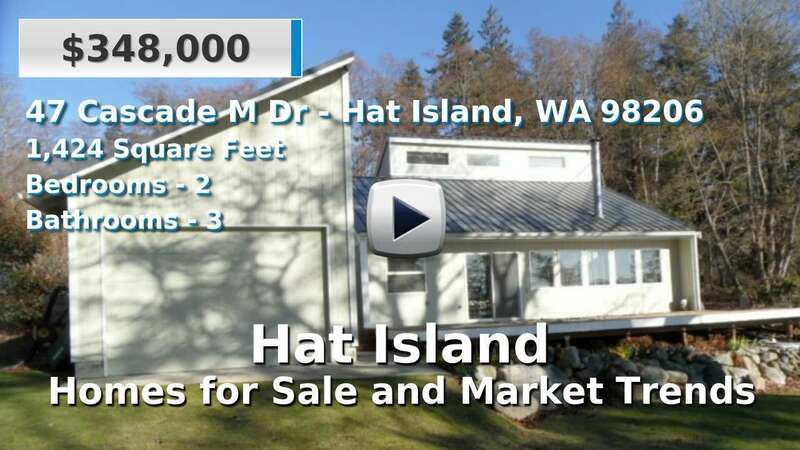 Community Marina, Golf Course, RO Water System, Pass Ferry, Beaches and Much More. 1 Beds | 1 Baths | 401 sq. Ft.
2 Beds | 2.5 Baths | 1424 sq. Ft.